Commodities continue to perform well as the US dollar tests the October lows. 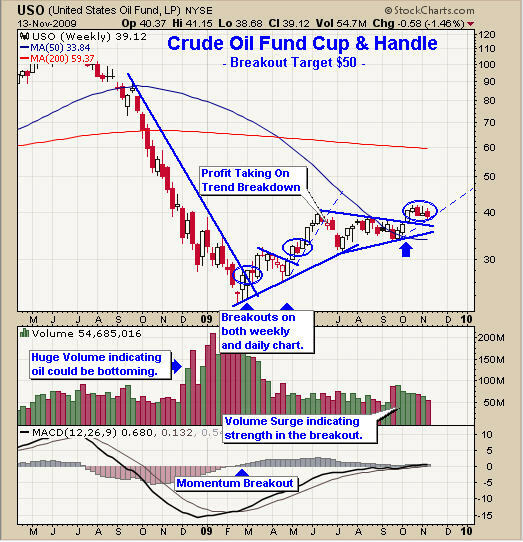 If we step back and take a look at the weekly charts of the gold, silver, oil and natural gas ETFs we can get a better feel for what to expect in the coming week. Trading commodity ETFs can be a very fun and profitable experience when done correctly. The first things I always analyze are the longer time-frame charts. This allows me to see past support and resistance levels and determine whether the investment is trending up, down or sideways. Let’s take a look at gold, silver, oil and natural gas. The weekly trend is crucial for understanding the power behind price movements. We can see that the GLD ETF is in a strong up-trend and that price closed at the high on Friday which is a strong sign. I would expect to see gold continue higher on Monday because of this strong momentum. as a long term investment and that is what we are seeing now. 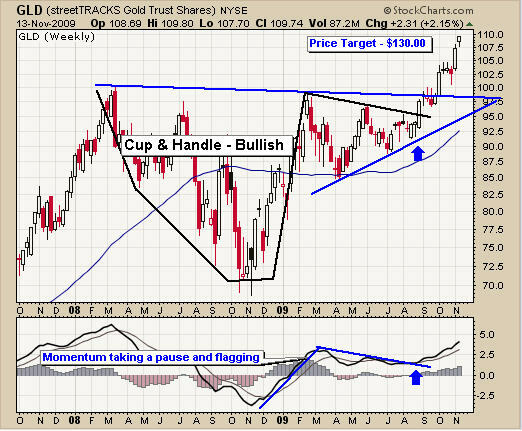 Using GLD as an example, the trend has been up for several months on the weekly chart. So we know buying low and selling high is the proper strategy for this investment. The weekly chart above shows this. 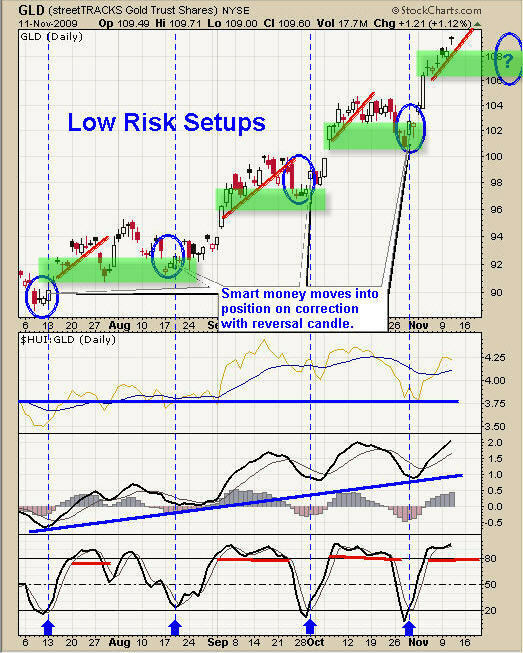 Buy Signal for GLD – Using the daily chart we focus on buying pullbacks when the price is near a support level and reverses back up. 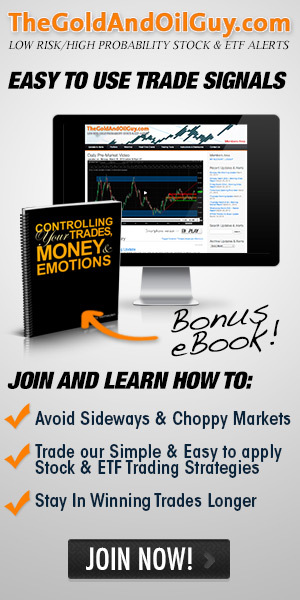 Profit Taking – I am not a greedy trader so I take profits after a nice run in prices. For GLD a nice short term run is 2-5%. So once I reach that level I start tightening my stops and trend lines to lock in some gains. I do this by selling part of my positions – generally between 25-50%. I let the balance of the position run with the market providing more wiggle room for GLD to mature. 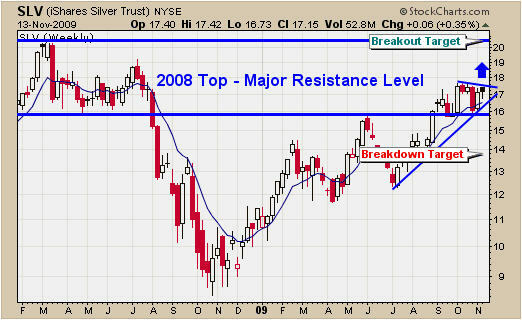 SLV has yet to breakout above the 2008 high. But the chart is still very strong. If we see the price move above the $17.50 level I expect buyers are going to jump in and push prices up to the $20 level. The USO fund continues to look bullish as it consolidates the breakout with volume getting lighter. We could see a bounce this week and if we do I will be watching for a low risk entry setup. 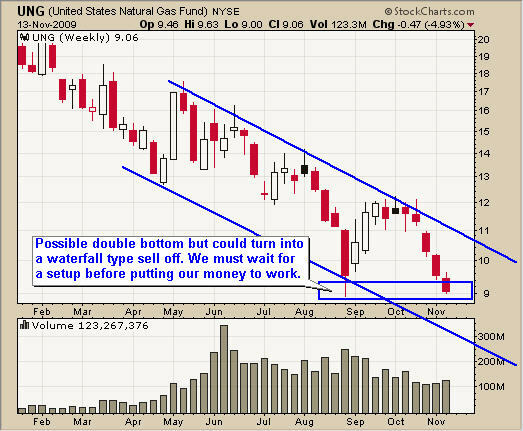 UNG continues to trend down and under perform the market. The last time UNG dropped to this level we had a nice bounce generating a 30% move in 3 weeks. But I don’t think that will happen this time. The price has been sliding lower slowly on light volume. This type of price action is not as predictable when compared to others. I will wait for a proper setup before buying an oversold bounce or shorting after a bounce. The weekly charts don’t lie. 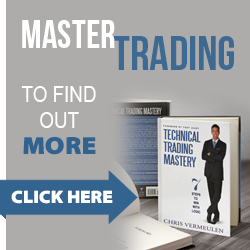 Trade with the underlying weekly trend and you will put the odds in your favor. I use the daily chart and 30 minute intraday charts for timing my trades as those time frames have proven to be very accurate with commodity ETF investments. WE continue to be hold our golden rocket stocks and GLD fund. If the market co-operates this week we could get some trading signals for both Canadian and US ETF funds.